The legs may be exaggerated, but the overall posture it conveys is accurate. 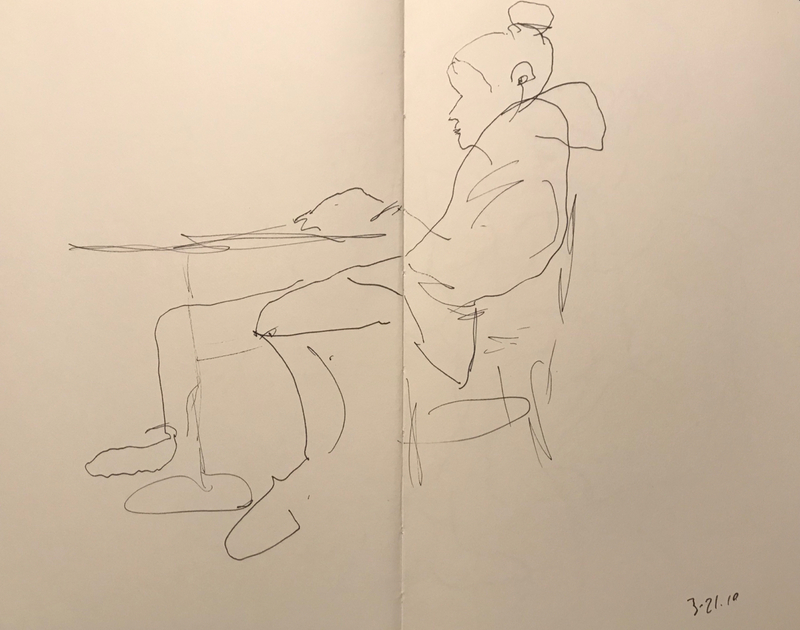 This entry was posted in Personal Stories and tagged art, artistic expression, drawing, pen and ink, pen and ink sketch, portrait, posture, sketch, stretching legs, visual art. Bookmark the permalink.